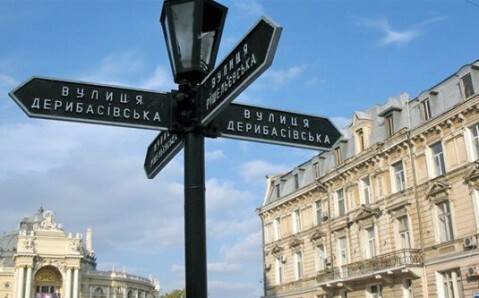 This is Odesa’s most famous street, and one of its symbols. Paved with stone and closed off to vehicles, this cozy little street has for a long time been a favorite place to stroll and meet for both locals and tourists. 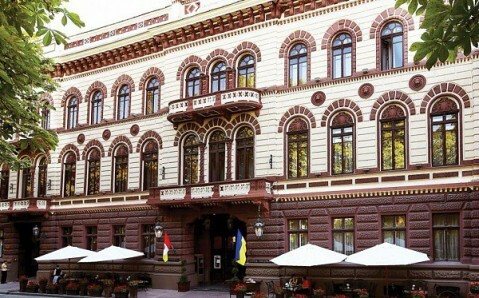 Ancient buildings, preserving the delightful architectural style of the 19th century, and numerous shops, cafes, and restaurants endow this street with a true Odesa charm. The landlocked Deribasovskaya, contrary to the original blueprints, became southern Palmyra’s central artery. 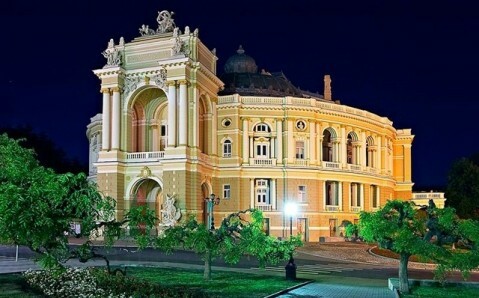 It appeared almost simultaneously with the city itself and was named after one of its founders, the first mayor of Odesa - Admiral Joseph de Ribas. A wondrous monument stands almost alone at the very beginning of the street, where tourists rarely go. 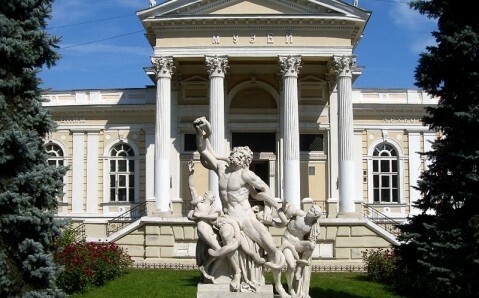 Another remarkable sight of Deribasovskaya Street is located at its intersection with Preobrazhenskaya Street. This historical and architectural ‘Passage’ complex, inimitable in its beauty, was created in baroque-eclectic style in 1899. Inside, the building is decorated with sculptures of gods and mythic characters, which are visible even from the second and third floors. 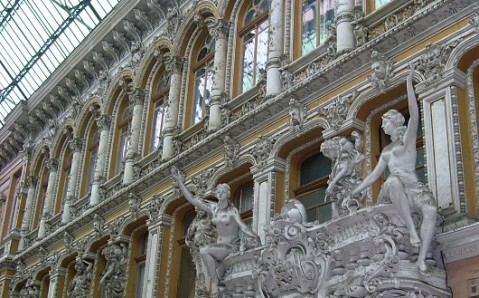 Its fantastic appearance the building owes to the House of Fabergé, which owned it at the time. Besides shops, the complex also includes the ‘Passage’ hotel, which is considered to be one Odesa’s most beautiful architectural monuments. Компот - необыкновенно вкусный вишневый штрудель!!! А шо вам тут сказать про нее?) Ребята, это наш колорит и наша история !!!! Побывать в Одессе и не погулять по Дерибасовской - преступление. 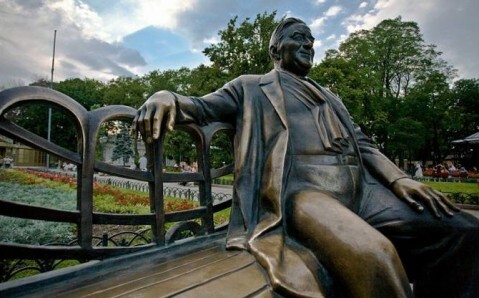 Тут самая большая концентрация кафе и ресторанов в городе. Игра Олега Назарчука на саксафоне заставляет остановиться и дарит огромное наслаждение! Любимая улица. Улица свободы, улица улыбок, главная Одесская улица! Всегда приятно вечерком прогуляться и послушать саксофониста! !! Привет Остапу Бендеру от Запорожья! City main street with lots of cafes & pubs. Try local street food at the Street Fair! Odesa’s main commercial street, pedestrian vul Derybasivska, is jam-packed with restaurants, bars and, in the summer high season, tourists. Это Дерибасовская. Это Одесса мама. Добро пожаловать в Одессу! Подключайтесь к WiFi точке "TENET WIFI Zone", получите бесплатный доступ к 4SQ по всему центру Одессы! Изучайте город, чекиньтесь везде и много! 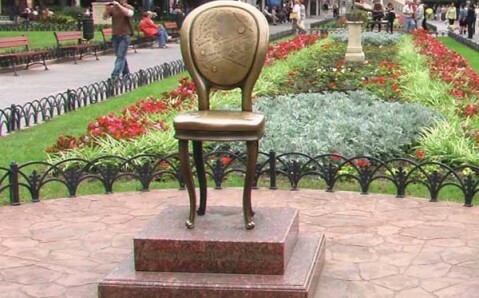 В 2010 было пиздаче чем сейчас. Слишком загадили улицу. Много странных мест имени этой улицы. Пока что это первое без привязки. Есть легенда, если по улице пройти 3 раза и загадать 3 желания, они обязательно сбудуться. Сходите в заведение компот. А рядом хороший стейк хауз. Владелец один человек. 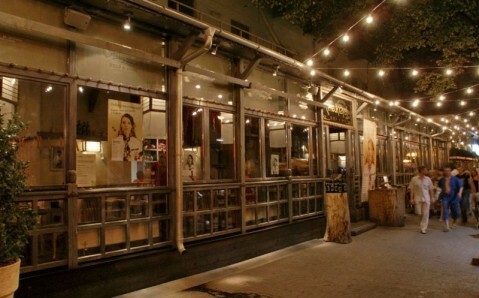 You can find all the good restaurants on that street. Also closed for traffic!